You might wear them for a long, long time, for hours and nights. 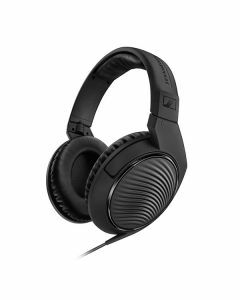 The HD 200 PRO won't become a burden, because they have been designed with more than 70 years of experience. So Sennheiser have lowered the tension of the headband and chose materials with direct contact carefully. The result: The earpads feel feather-light and perfectly enclose every ear. You might even forget you're wearing them.